Vy and Justin, along with other UM colleagues, headed to Ottawa, Canada to attend the joint sessions of the International Society for Environmental Epidemiology and the International Society for Exposure Assessment. 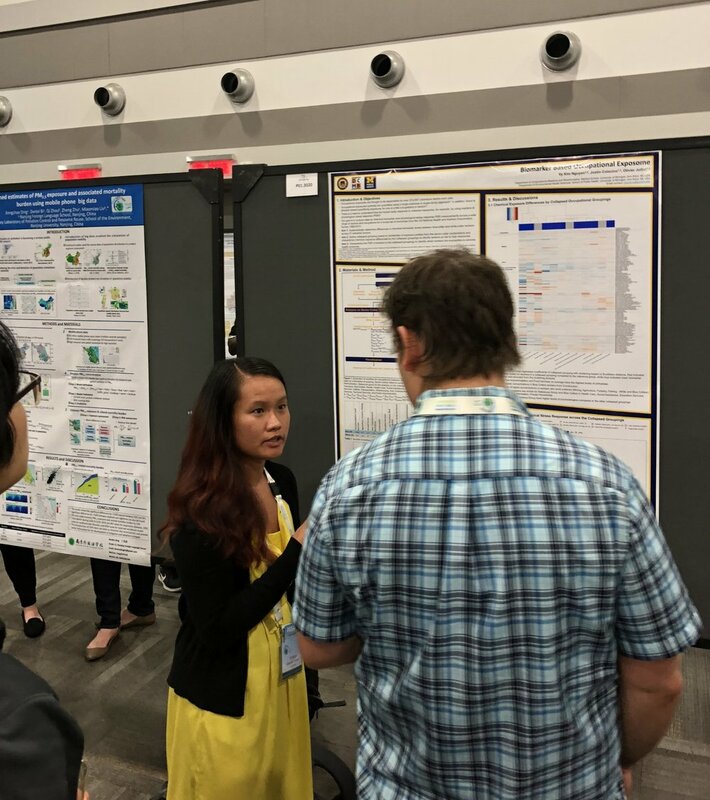 There, Vy presented a poster and a gave a platform presentation about her dissertation work describing wide-scale differences in chemical exposures by occupation or by race/ethnicity. Lada, Sabrina, and Tasha present their research at SOT 2018!